The image you present at work is key to how you are perceived, the respect you get, and your chances of climbing the corporate ladder. What you wear will send an instant message that will become indelible and identify you as part of a team. Although companies have become more open, and casual Fridays have become the norm, there are still rules that may make or break your best intentions. When you set out to get that job, play it safe. First impressions are most lasting. Employers have told me that once a look turned them off, it didn’t matter what a candidate said. 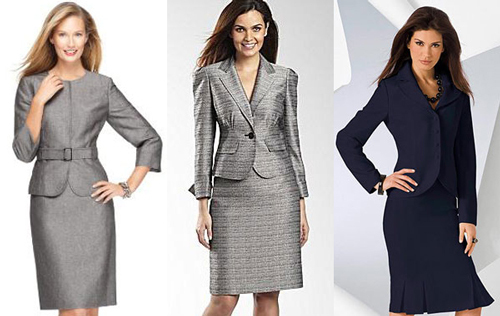 And when you get the job, most new jobs call for brand-new clothes. This should call for celebration, except when there is a budget to consider. The key to an inexpensive working wardrobe is to purchase a few staples that you can mix and match to create different looks. Yes Catalogues would help you find your best outfit. They provide the UK’s best catalogues for men, and women. The best thing is, the customers are allowed to open a credit account on all their catalogues and purchase the item on credit. Purchases £50 or more are interests free and with no advance payment. So, what are you waiting for, order your catalogue now.